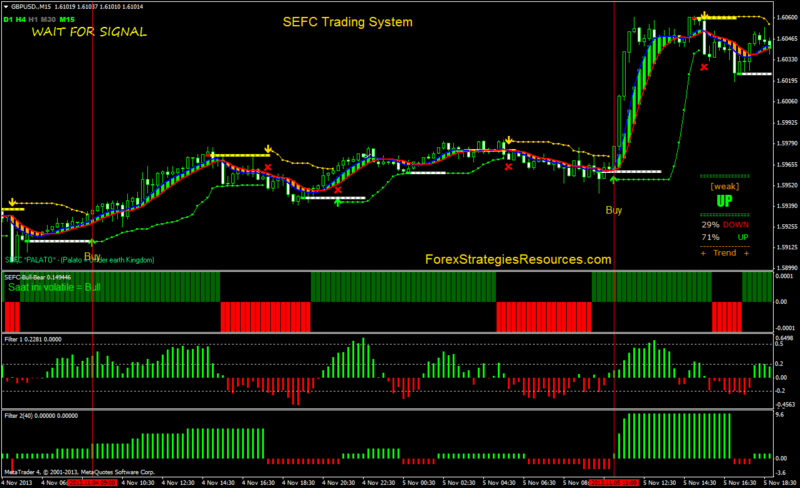 SEFC Trading System is a trend following trading system that Based on the SEFC indicators and Filter indicators for filterd the trading signals of Bollinger Bands Stop. These indicators repaint but Bollinger Band Stop alert indicator not repaint. At opposite trading signal of the Bollinger band Stop alert indicator, or profit target at the ratio 1:1,5 stop loss. Initial Stop loss at the previous swing, but is also recommend the move stop loss for manage trade position. 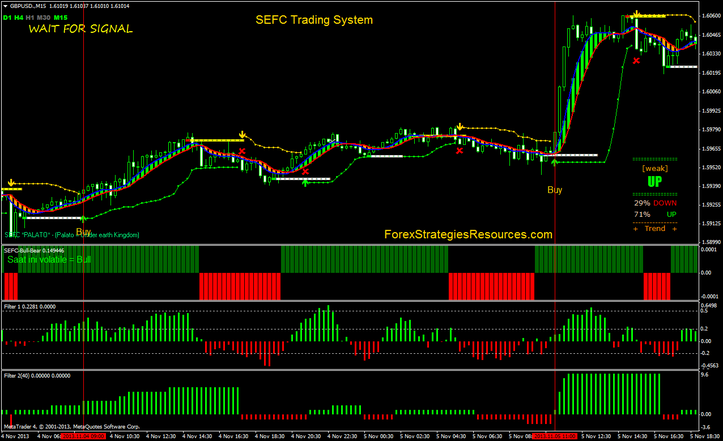 SEFC Trading System: Template and indicators. SEFC indicators with Bollinger Band Stop.